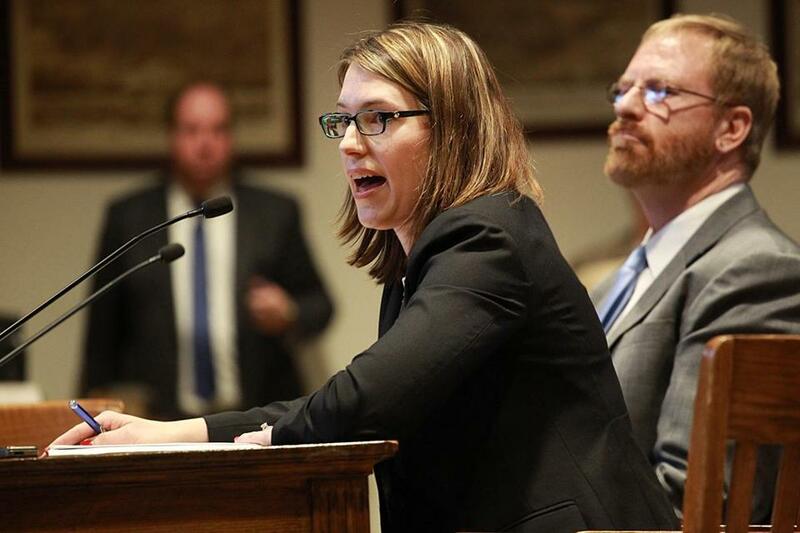 Leslie Wood representing PhRMA, Pharmaceutical Research and Manufacturers of America, testified Monday before the state Legislature’s Joint Committee on Health Care Financing at a public hearing on prescription drug prices. The lead sponsor of a Massachusetts bill calling for some of the most sweeping steps in the nation to control prescription drug costs scrapped a controversial provision that would have capped prices on treatments for critical illnesses such as hepatitis C.
Instead of setting maximum allowable prices for all consumers, an amended version of the legislation released by state Senator Mark C. Montigny would enable public health programs to receive rebates on a roster of expensive medications. 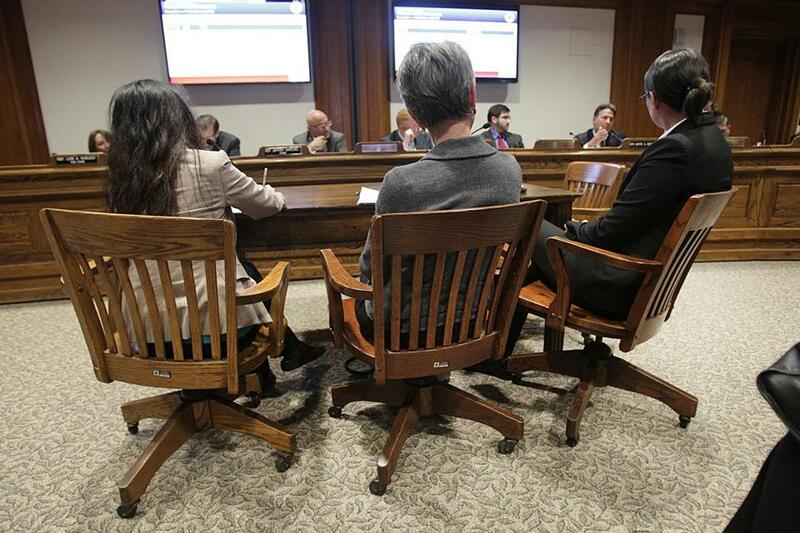 Even with the price-cap proposal removed, the bill drew harsh criticism from biopharma industry executives, who complained at a State House hearing Monday about requirements that drug makers disclose their research, marketing, and manufacturing costs. Health insurers and consumer advocates pushed back, saying something has to be done to rein in spiraling drug costs. Former life sciences venture capitalist Jonathan Fleming, who now runs Cambridge startup Q-State Biosciences Inc., warned the proposed legislation would create a morass of administrative costs for young companies seeking to treat or cure serious illnesses while having a chilling effect on investment in medical research. Even without any official power, a small nonprofit based in Boston is helping to drive new discussion around drug pricing. Prescription drug costs are the fastest-growing component of health care spending in Massachusetts, rising 13 percent in 2014, the most recent year for which state data are available, according to the state Health Policy Commission. Among the most expensive new medicines are hepatitis C drugs that cure the liver-ravaging virus in most patients but have crippled the finances of Medicaid insurers, as well as a new class of cholesterol-lowering drugs. Similar “transparency” legislation has been filed in New York, California, Pennsylvania, Texas, North Carolina, and Oregon, though the specifics of each bill vary. President Obama’s new federal budget, proposed in January, also contains a provision requiring drug makers to disclose the costs that go into their drug pricing. None of the provisions has yet been passed by lawmakers. In presenting his amended bill to the committee, Montigny, Democrat of New Bedford, emphasized that the legislation — which has drawn criticism from drug industry groups in Massachusetts and nationally — does not mandate price controls. “We as a government are not regulating prices,” he told a standing-room only crowd of supporters and opponents of the bill. But, he said, the state has “a right to know” what costs are factored into the prices of prescription medicines that are squeezing consumers even as they treat everything from high cholesterol to cancers to the liver-ravaging hepatitis C virus. The new version of the legislation authorizes the state’s Health Policy Commission, a health cost watchdog agency, to review data on the highest-cost drugs and determine — in consultation with independent groups — if their price tags are “excessively higher than justified” and jeopardize the state’s ability to meet a 3.6 percent benchmark for annual health cost increases. If the health policy panel finds a drug’s price is excessively high, it could authorize rebates to the state’s Medicaid program, known as MassHealth, as well as to private insurers that contract with the state to insure low-income residents. Also eligible for rebates would be the Group Insurance Commission, the government agency that insures state employees. Montigny’s amended bill, by eliminating the proposed cap, could make the legislation more palatable to a broader segment of lawmakers. 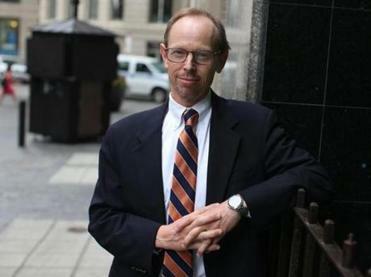 But its prospects in the Massachusetts Legislature are uncertain. Testifying in favor of the bill, Lynn Quincy, associate director of health policy at the Consumers Union, a national nonprofit that publishes Consumer Reports, said many of the nearly 50 percent of Americans who take prescription drugs regularly have difficulty affording them. “It’s nearly impossible for policy makers, regulators, and regular consumers to know the true markup on drug prices,” Quincy said, suggesting the factors that go into calculating drug prices have long been “shrouded in secrecy” in the United States. Drug industry representatives, however, said the bill would require companies to disclose only costs related to specific therapies, not their outlays for the majority of experimental drugs that fail to make it to the marketplace. They also argued that health care providers and insurers — not drug makers — are responsible for the lion’s share of medical expenses. While the bill seeks to rein in the rising costs of brand-name drugs, the health care system is also facing a rapid increase in the prices of generic medicines, which historically have worked to keep health costs down, said Eric Linzer, senior vice president of the Massachusetts Association of Health Plans, a health insurance trade group. “The challenges that we’re seeing are not exclusive to specialty drugs,” he said. Some lawmakers at Monday’s hearing said they were skeptical of industry claims that disclosure of costs would put a financial burden on drug makers or cause them to flee the state. Consumers and health care officials addressed the hearing.